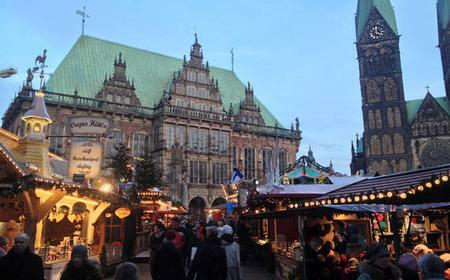 ...ated market stalls at the Bremen Christmas Market. 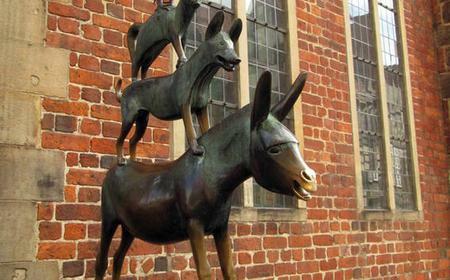 See the famous statue of the Bremen Town Musicians and the town hall. 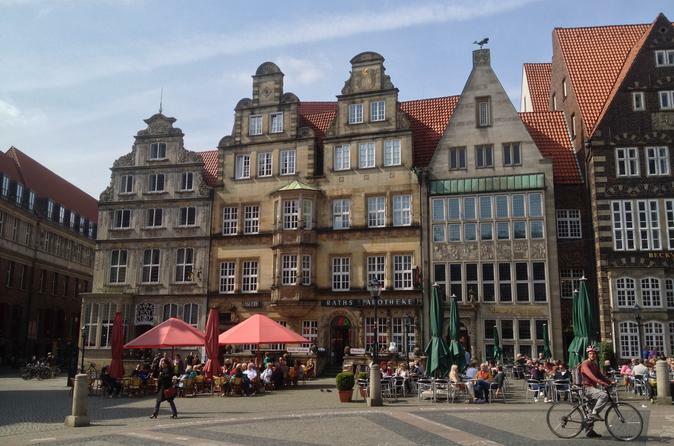 The Bremen Town Hall is the seat of the President of the Senate and Mayor of Bremen, and an architecturally significant ensemble that survived the Allied bombings of World War II which destroyed a major part of the city. 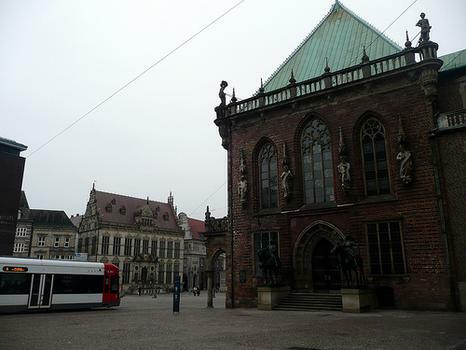 The Bremen Town Hall is the seat of the President of the Senate and Mayor of Bremen, and an architecturally significant ensemble that survived the Allied bombings of World War II which destroyed a major part of the city. Along with the Roland Statue in front, it is a UNESCO World Heritage Site for symbolizing civic autonomy, free markets and sovereignty during the Holy Roman Empire era. The 15th century Old Town Hall is a 2-storey Gothic Saalgeschossbau, with Weser Renaissance additions from the 17th century renovation, during which elaborate sandstone reliefs were also added to the facade. 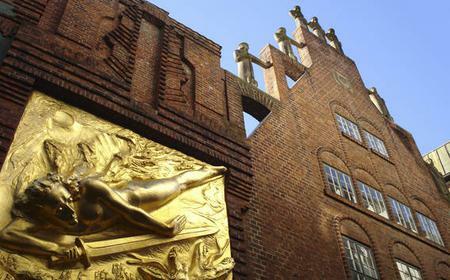 The 17th century also witnessed a few Baroque modifications. The New Town Hall is a 3-storey Neo-Renaissance building built from 1909 to 1913. The 5.5 metre tall statue of Roland depicts the Margrave of Brittany, a paladin of Charlemagne, as the protector of the city.